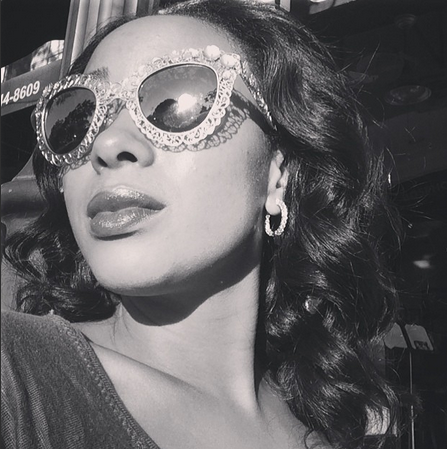 No Days Just Weeks: are you SEEING RED? There is no RED more famous than the "Christian Louboutin" red! The signature RED bottom soles are lusted after and collected by many. While the Christian Louboutin design house is known mostly for shoes and accessories, they are adding another piece to their repertoire. Inspired by the original red muse, Christian Louboutin will be debuting a NAIL POLISH! Now the term "stiletto nails" has a new meaning! The nail polish will feature a timeless shade of red, vibrant on any skin tone and is high gloss, formaldehyde free and non chip, ensuring a patent leather shine. The seven-inch calligraphy inspired cap which is modeled after the heel of the famous ballerina ULTIMA, the highest heel Christian Louboutin ever designed, is custom designed and has a beautiful glass cut bottle to match. 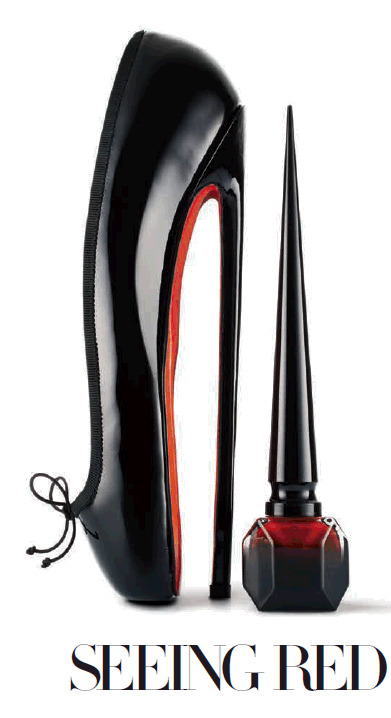 The Christian Louboutin Nail Collection launches this week with the signature color… ROUGE. It is sure to sell out faster than the shoes, so be sure you are SEEING RED… I will be!